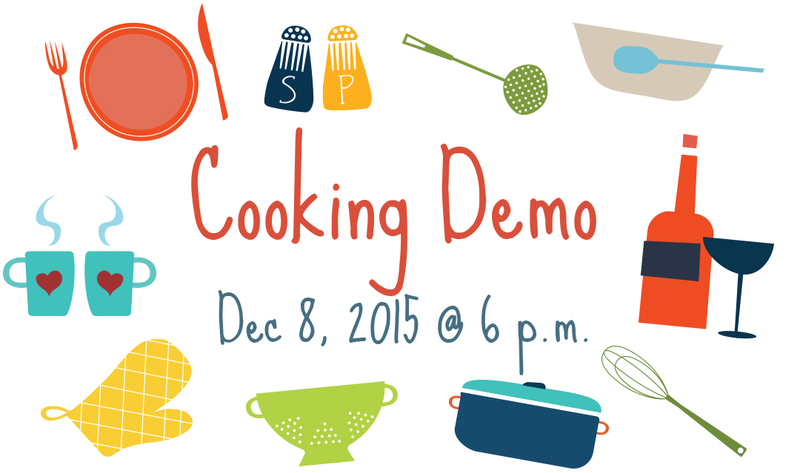 On December 8, Chef Kevin will demonstrate how to make multiple dishes! Learn to make blueberry dressing, short ribs, and chocolate cake. Seating is limited, so be sure to book your spot soon. Hope to see you here soon! Arugula & Kale Salad – Orange supremes, fresh pear, blue cheese, blueberry-roast shallot vinaigrette, black pepper cracker, turkey leg confit. Braised Beef Short Ribs – Root vegetable hash of butternut squash, parsnip, brussel sprouts, poached eggs, tomato gravy. Flourless Chocolate Cake – Peppermint crème anglaise, espresso whipped cream, chocolate covered coffee beans.